At Dynamic Industries, we specialize in the production and supply of precision engineered machined components for automobile applications. We employ the latest technology and use quality raw materials to produce quality machined components that are known for their high performance, easy installation, trouble free life and durability. 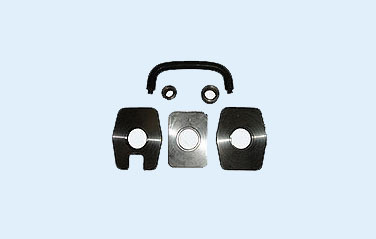 Our machined components are used for the trailing arm for Indica, India Turbo and India ABS. ABS mounting plate and more. We can supply our range of machined components in specifications as required by our clients.